Dan Doenges is the club’s Owner & General Manager as well as the Tennis Program Manager. 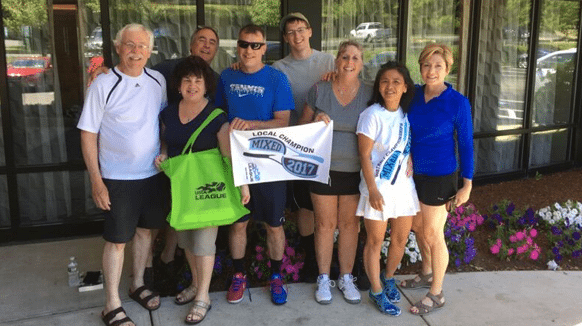 Dan played #1 singles for Rutland High School Varsity Tennis and went on to play Division II Tennis for Assumption College which had a 118-0 record over 8 years in the NE-10 conference. In total Dan has taught for over 12 years at Vermont Sport & Fitness Club. Dan focuses primarily on getting players started or restarted in tennis. He has had the joy of getting to watch hundreds of players fall in love with the game and go on to enjoy this lifetime sport. When you sign up for membership at VS&F Dan offers a complimentary hit with a pro, to get a chance to learn about you and your game. From there you work together to get the exact amount of tennis you are looking for. Dan’s passion for tennis grew as he finished college and started to develop the mental side of the game. With each new eye opening discovery of how to improve his own game through positioning, movement, and even breathing, he fell in love with teaching others. He equates it to a need to share how simple changes can make a big difference. He believes in teaching you the best form of tennis for you and not trying to fit you into a box. Dan believes that anything taught in tennis should be able to cross all sports disciplines. Once you understand energy transfer, proper movement and game strategy you could take this to any sport and the skills would transfer. 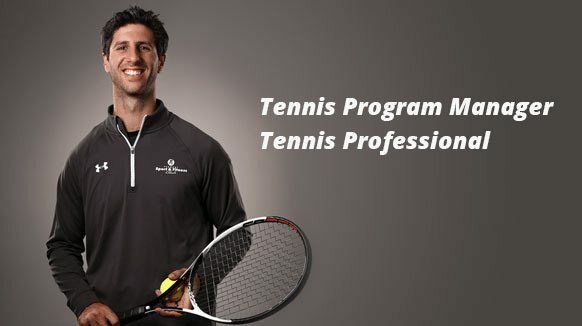 If you want to get started or restarted with tennis at VS&F, Dan is your guy! Lessons are not only fun they are a great way to learn the game correctly for beginners. And a great way to accelerate learning and improve results for intermediate and advanced players. 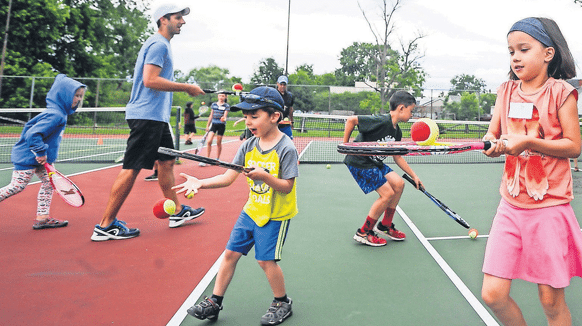 Teaching kids to love the game of tennis is the easy part. Getting them off the court is the hard part. 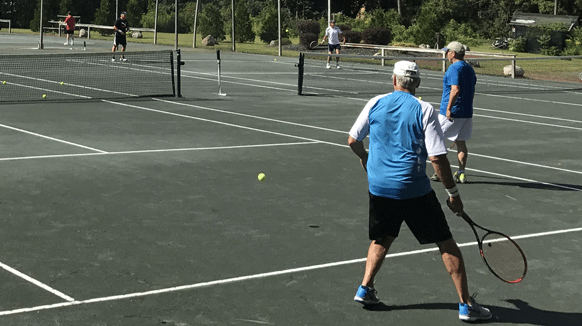 Have fun, make new friends and elevate your game with direction from our highly experienced Tennis Professionals.